SAFE, SECURE STORAGE AT A GREAT PRICE! Economy Storage Logan has been supplying storage services to the locals of Logan, Utah since 1985. 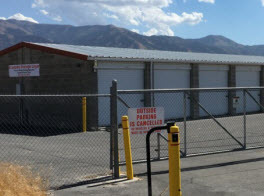 Conveniently located across from the Logan, Utah airport, our facility is well secured and adequate to serve all of storage needs. Economy Storage Logan is now under new management, and our staff is fully trained and experienced to assist you in getting into the right sized storage unit. We are fully licensed and insured, and we are committed to continue to uphold high moral values and raise the bar on work ethics as well as extend a happy family-friendly oriented customer service. Economy Storage Logan offers storage solutions for residents and businesses at affordable rates on a monthly basis. 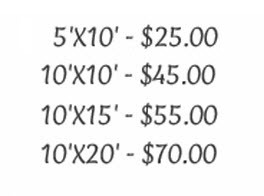 Small and large units are available for those looking to store both long term and short term in a safe and secure environment. 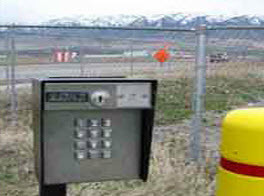 Economy Storage Logan location is diligent in ensuring your treasures are well protected with a series of security cameras at entrance and in the parking area, good exterior lighting, 24 hours a day, 7 days a week access keypad entry to allow you easy access, but keep the unsavory characters out. We are currently undergoing property improvements to better serve our valued customers. Economy Storage Logan is the ideal place to store residential home contents. Whether you need a temporary safe place to store your belongings in preparation for a new home, or you need something for more of an indefinite situation, Economy Storage Logan is a reputable storage facility. We are available 24/7 to allow you easy access to your possessions, but with extra safety and secured precautions to ensure your stuff is well protected. With large or small accommodations to shelter and safeguard your items for as long as you need. 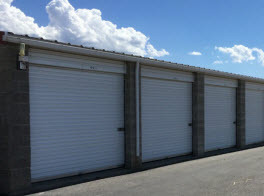 If your home could use additional storage, or you are simply trying to move and need a middle ground in Logan, Utah, Economy Storage Logan is your storage facility. 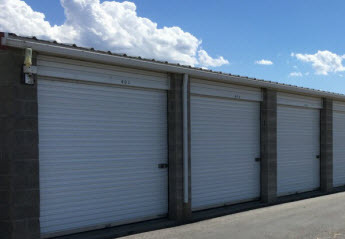 When operating a commercial business throughout the Greater Logan, Utah area, having a storage facility, to store documents, excess merchandise, or anything else you may need could be an excellent alternative to taking up valuable space in your commercial space. With our convenient location, 24/7 access, and secured storage facility, Economy Storage Logan can keep your business related items cared for and reserved. No matter how big or how small your residential or commercial storing load is, long term, short term, or indefinitely, Economy Storage Logan is the premium choice to secure your valuables. Conveniently located across from the Logan Airport, we also have 24/7 access and are eager to serve you! Call us today to get started! Economy Storage Logan office hours are 9-5 everyday.